Leo Varadkar, our previous Minister for Transport has recently announced changes to the existing legislation on mobile phone use while driving. These changes come into effect in May 2014 with an amendment to previous legislation. It has been an offence under the Road Traffic Act 2006 to hold a mobile phone while driving in a public place. Holding a mobile phone means holding it by hand or “supporting or cradling it with another part of the body”. The 2014 Regulations extend the provisions of the 2006 Act. The changes make it an offence to send or read a text message from a mobile phone while driving in a public place. 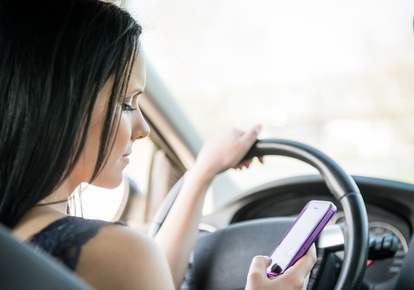 More importantly, it is important to be aware under the new provisions it is an offence to text regardless of whether the driver is holding the phone or the phone is in a hands-free holder. Texting offences include receiving and sending messages. A text message includes SMS and MMS messages as well as emails. It is permissible to use voice activation software to both read and send a text. The penalties have also increased, from August 1st, penalty points for holding a mobile phone while driving increase from 2 to 3 points, with a fixed-charge of €60 that can lead to a possible €2,000 fine on conviction.